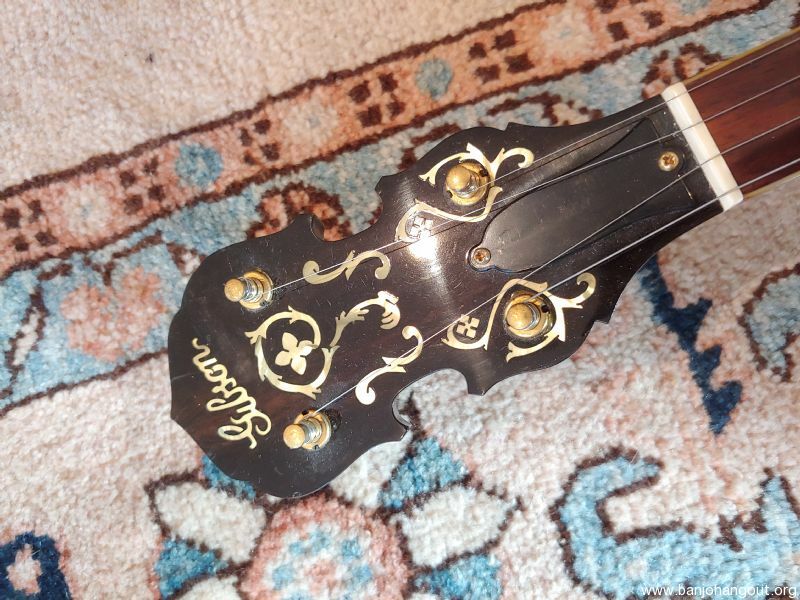 I'm selling a 1925 Gibson Style 5 conversion. 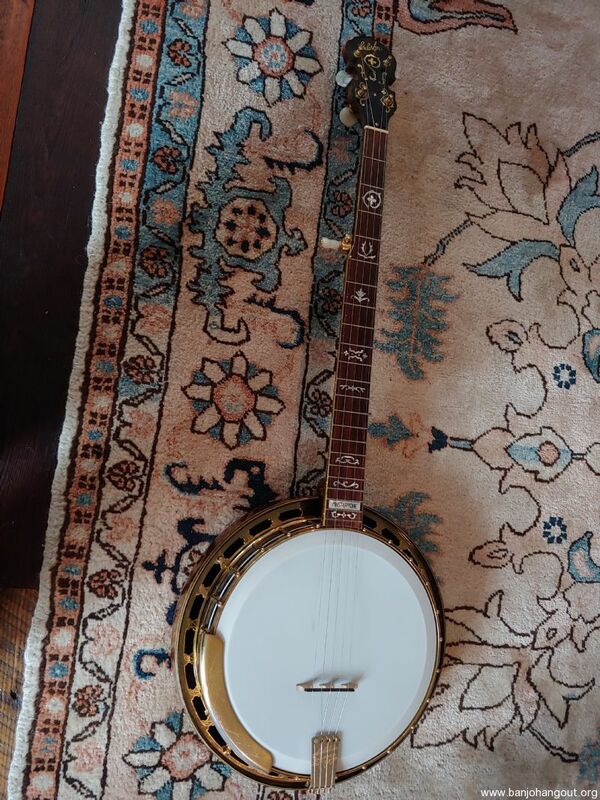 This is a beautiful banjo that plays great. 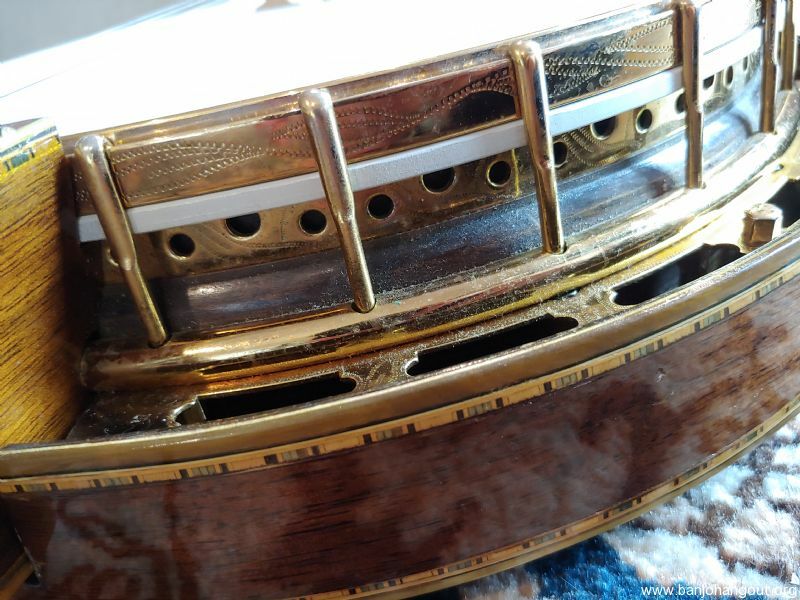 The conversion neck is an older make in excellent condition. Not sure who made it, but the quality is equivalent to the work of Neat, Smith, etc... really top notch. 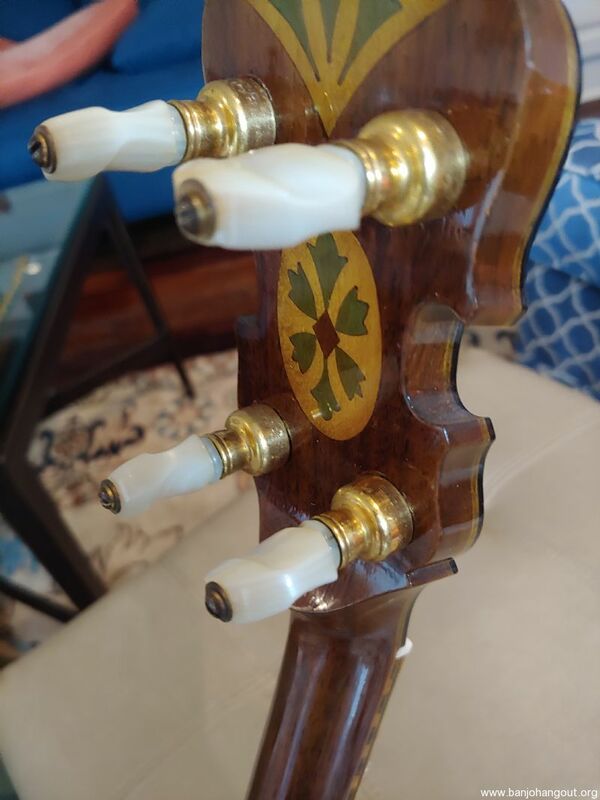 The fingerboard is Brazilian rosewood, and the peghead tuners are the original planets. 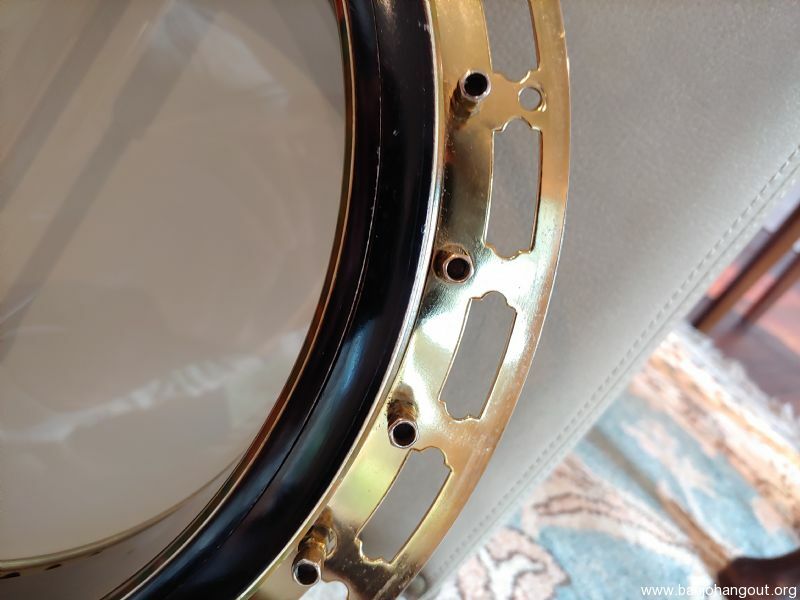 The pot assembly is overall in excellent condition. 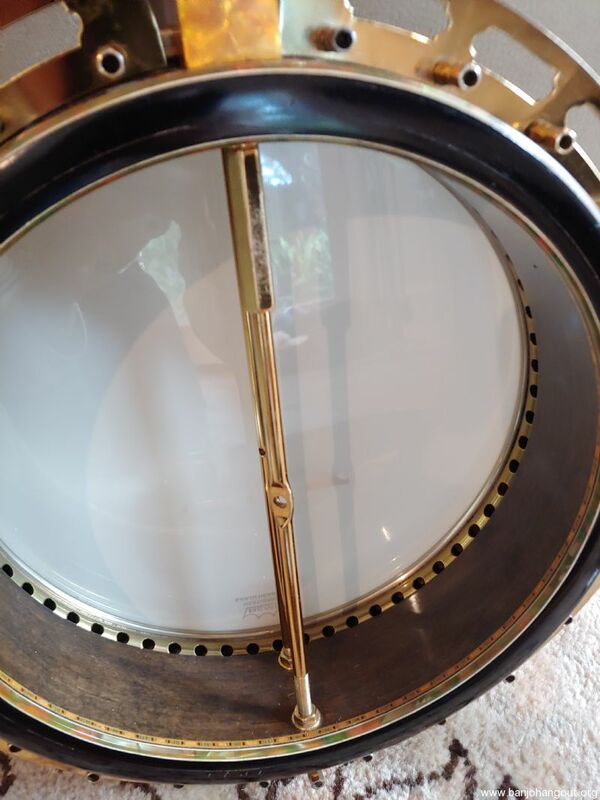 There is some delamination visible at the rim cap that could be glued tight, though there isn't any movement from what I can tell. 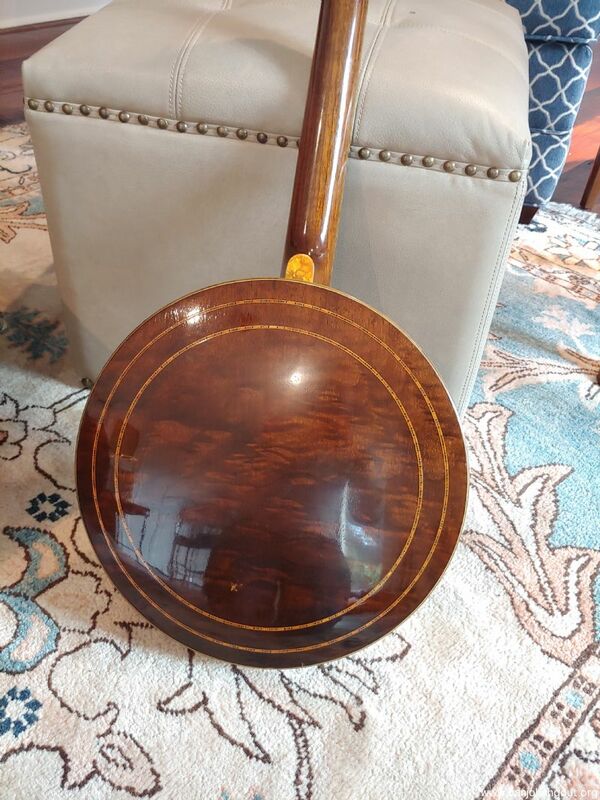 I have taken pictures of this- it looks like what is normally seen on these older Gibsons. 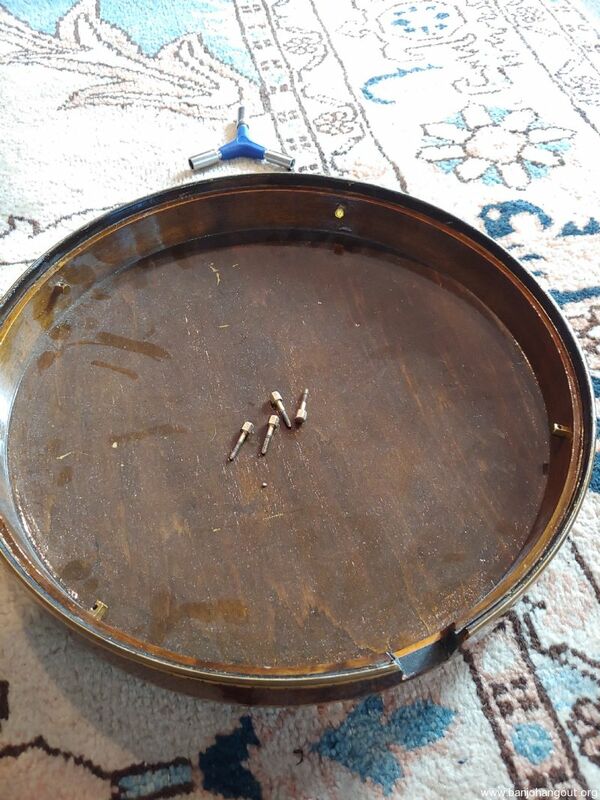 I think the hardware was replated at some point in the past. 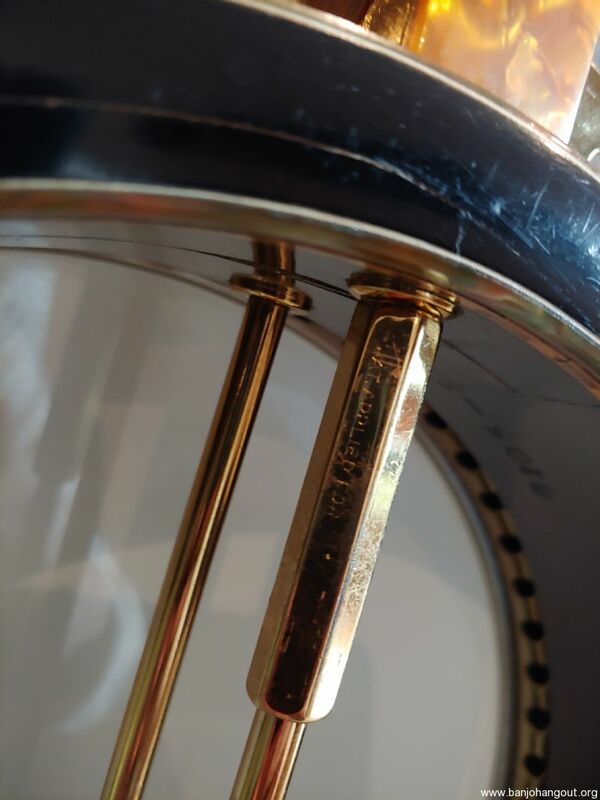 The Kershner tailpiece is a period original but is engraved for a Granada. 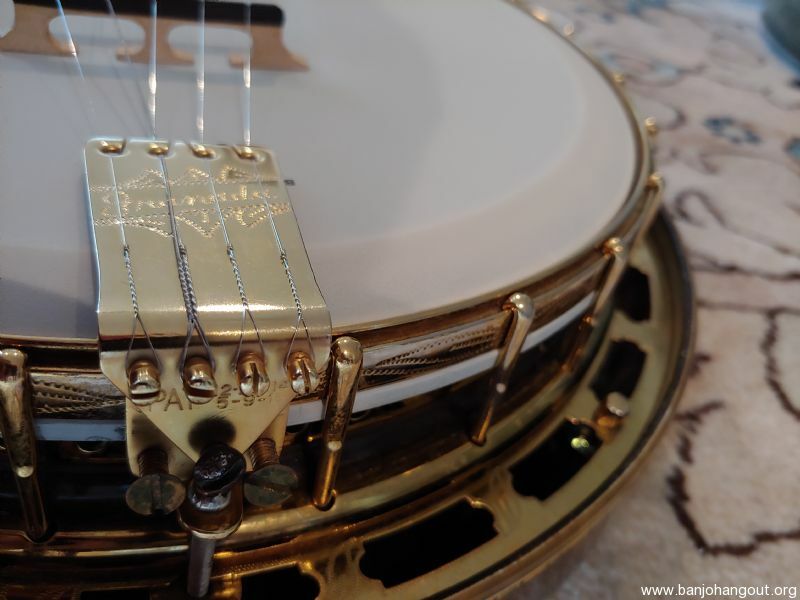 I have seen a handful of other Style 5's that came from the factory with Granada tailpieces, so I suspect that it is original to the banjo. 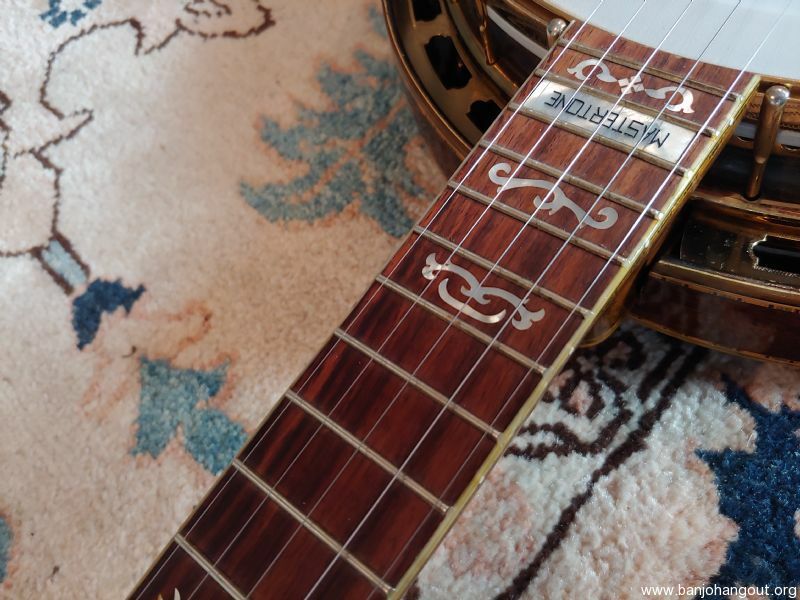 The inside of the resonator looks to have been oversprayed, while the exterior finish appears to be original and displays the correct checking. 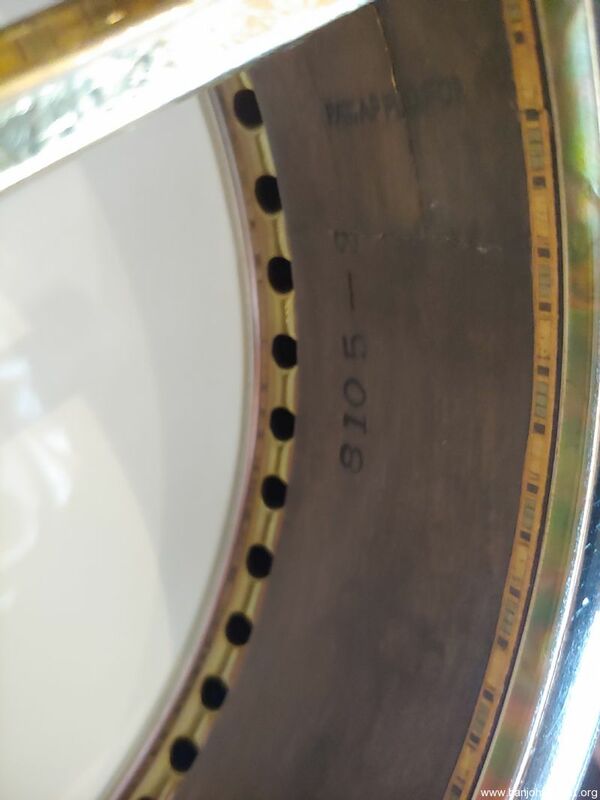 The resonator and rim are really clean. 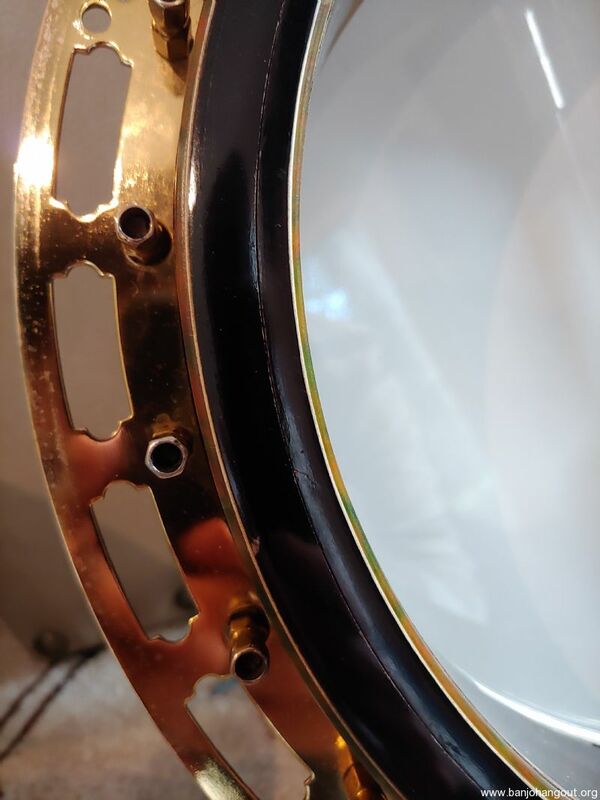 The ball bearing tone ring is floating properly on the bearings. 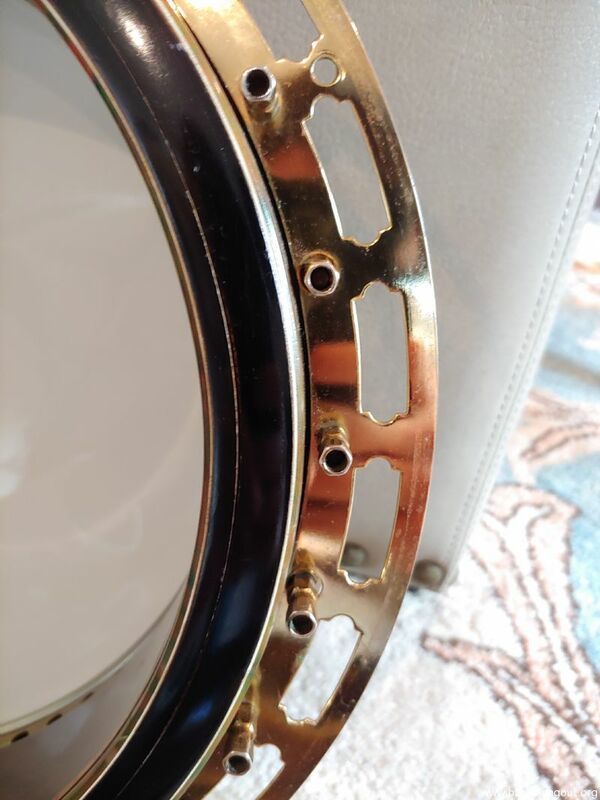 Sound-wise, this is a really great ball bearing, the best one out of the three I have owned. 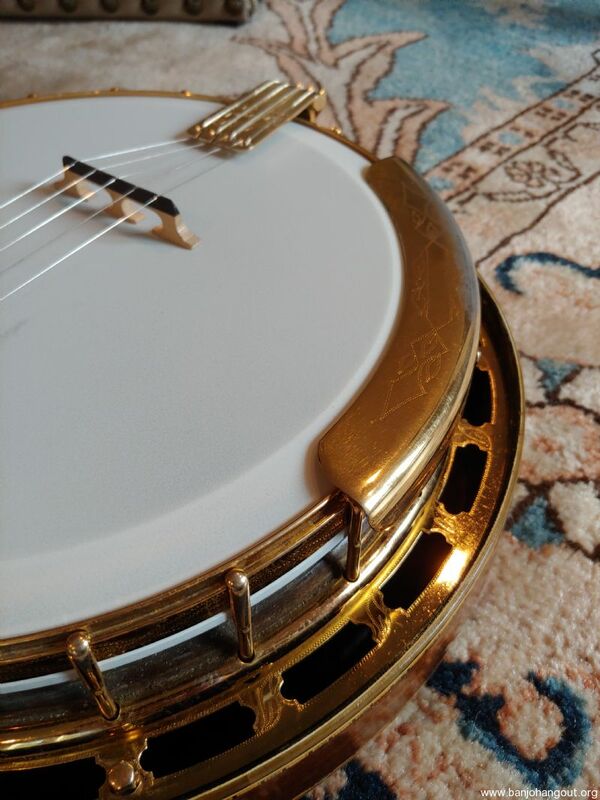 It also plays extremely well and is nice and full all the way up the neck. 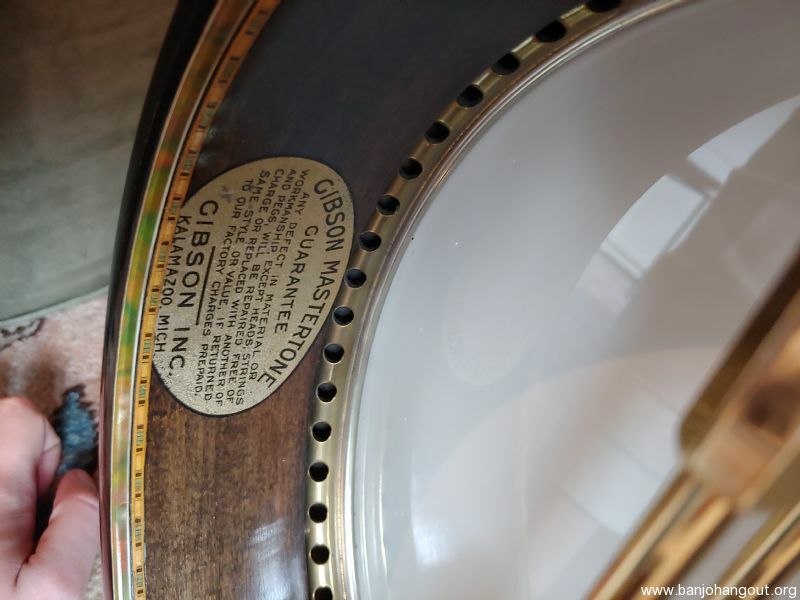 Original tenor neck included. 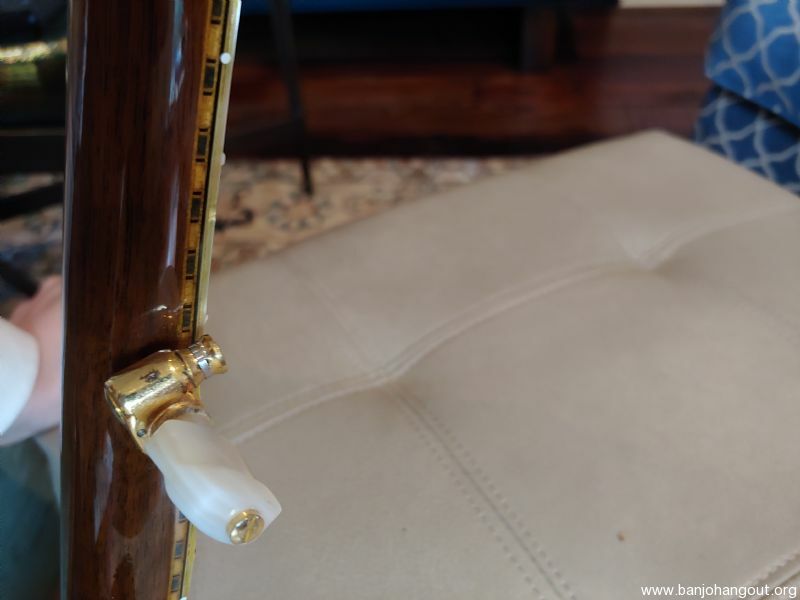 I'll consider trades for top tension banjos without radiused fingerboards. Shipping: Buyer pays actual cost.